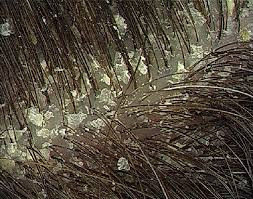 Dandruff is a condition of the scalp that causes flakes of skin to appear. Dandruff is a common condition, which is marked by itching. In some cases it can be embarrassing and not easy to treat. Dandruff can be chronic (long-term) or the result of certain triggers. People with dandruff may also experience irritation and redness on the scalp. Dandruff is more common in men then in women, and in people with oily skin. This is a skin condition in which the skin becomes inflamed or flaky. Seborrheic dermatitis of the scalp is a severe form of dandruff. When it affects the scalp most people refer to it as dandruff. When babies have it, it is referred to as cradle cap. Seborrheic dermatitis causes larger, greasier flakes than most other types of dandruff. Seborrheic dermatitis affects not only the scalp, but the skin in other parts of the body too. ¬ Often referred to as cradle cap, signs and symptoms may appear when the baby is between 2 weeks and 6 months of age, especially between the ages of 3 to 8 weeks - this usually disappears after a few weeks; in some cases it may take months. Although cradle cap may be alarming to parents, it is not dangerous. ¬ A symptom is something the patient senses and describes, while a sign is something other people, such as the doctor notice. For example, drowsiness may be a symptom while dilated pupils may be a sign. Homeopathy treatment helps for Dandruff. And helps to prevent further recurrence also.